June 10th, 2011 12:59 AM by Lehel S.
Want to know what’s happening in the real estate market? Ask the people who are investing their hard-earned money in the future of real estate. Investors are the biggest story going on in real estate today and they’re about to get bigger. A survey just released by Move, Inc. suggests that real estate investors will be more active in their local markets by a three-to-one margin compared to typical homebuyers in the next 24 months. Investors are looking in their own backyards for the newest opportunities. The survey also suggests local markets may be heating up with renewed investor interest and activity as most (69%) of investors expect it will be easier to find properties in the near future. Real-estate investors (62%) told Move they’re paying more attention to home values in their local markets, and only 43.5 percent say it will be harder to find bargains. Those who are already in the market are starting to feel optimistic as well as two out of five investors expect it’ll be easier to sell their properties in the next six months. An uptick may be in the offing; some investors (22%) are bullish and expect prices to rise in the next six to 12 months, while almost half expect prices to remain relatively the same. 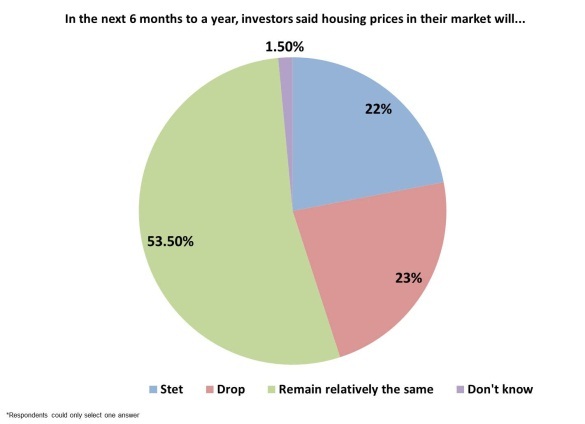 Twenty-three percent (23%) expect prices will fall in the next six to 12 months. 65.5% said they expect the problems first-time buyers are having in getting mortgages will make it easier for them to compete for properties. 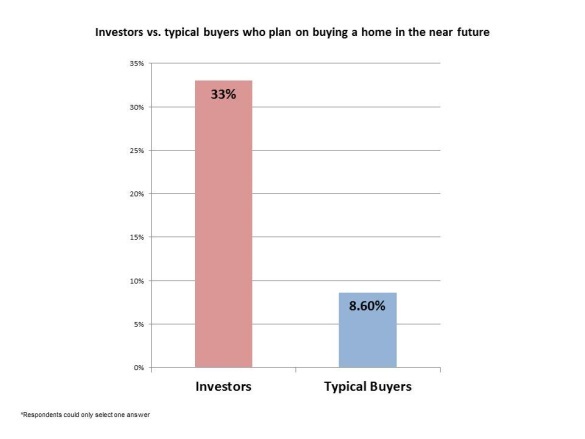 18.5% say they’ll be cash-only buyers, a strategy that’s out of reach for most first-time buyers. 80.5% expect cash discounts from sellers.